PropertyValueInvalid. TIME cannot cast the value (some string instead of date) to Date. The incoming event JSON record contains a string that does not match the Date format property that is configured for the event time. 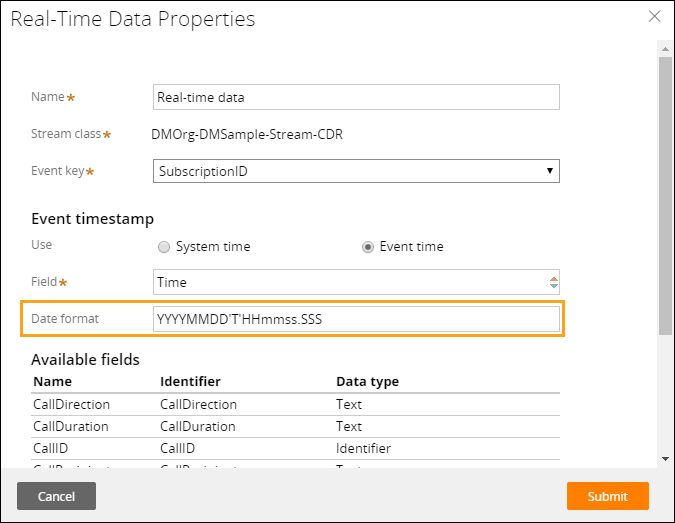 Configure the Date format property in the Real-Time Shape in the event strategy to match the format of the incoming event records.